ANNOUNCEMENT: The guitar gear blog, Six String Soul, has been closed. Since being launched in 2003, Dan Kern (founder) has developed an expertise for marketing guitar gear and other musical equipment via search engine optimization, and has shifted his focus towards SEO consulting. Please contact us if you would like to request a consultation for SEO services for your musical equipment or other musically-related business. Consulting services typically range from $750 – $3,000 per month. 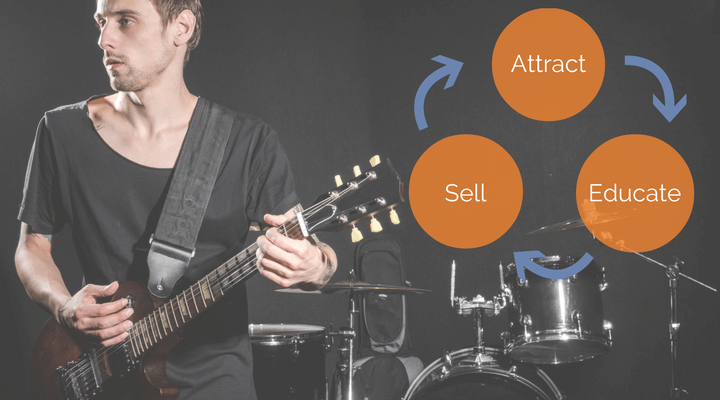 Marketing can make or break a new (or existing) business, especially for guitar gear and other musical equipment companies, music education websites, producers, event planners and other music organizations who are joining a field of crowded competition. While you may have a good handle on your relationship-building, conference-attending and guerrilla marketing tactics, are you sure that your online music marketing and SEO strategy is going to be effective? Most of the time, that’s how people will find you. We can help. Having run the Six String Soul guitar blog for 13 years, Dan Kern knows the musical equipment industry very well. He has helped improve search engine discoverability for music industry brands such as Bearfoot FX, Ninebuzz and others. The approach taken is designed to achieve sustainable results (long-term) with consistent effort and attention given. How is it done? Let’s dive in. SEO is not a game anymore. 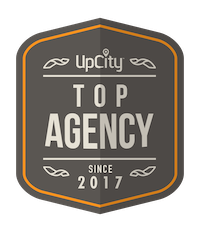 It’s market research, technical optimization, educating through content and trust-building through link acquisition and social mentions. Understanding your customers’ search behavior is critical to your online success, since your primary source of traffic could very well be Google. You may have great success with social media, but Google is the top traffic source for most businesses. Having a thorough keyword targeting plan for your music industry business is the first step to targeting the pool of available traffic online from Google’s search engine. However, having a technically-optimized site is also very important. Without technical implementations such as canonical URLs, proper use of “noindex” meta robots tags, accurate XML sitemaps, optimized meta data, properly set-up analytics and other technical items, your site will be limited in its potential to rank well in search engines. Taking the insights from keyword research and putting them into a music marketing content strategy takes experience. Without it, your keyword research will likely amount to nothing. Not all keywords are the same. Some are best for foundational content on your site, and some are best for blog posts and other strategic content marketing. Beyond keyword research, there’s content quality that you need to consider. Duplicating content from other websites (product descriptions, bios, etc.) can seriously limit your ranking potential in Google. Even if you’re not duplicating content, is your content compelling enough to convince visitors to become customers? Is it nurturing them based on where they are in their buying journey? Kern Media has the experience to put together a music industry content strategy that will ensure you pair the right content tactics with the most appropriate keywords to nurture your target audience’s interests (no matter where they are in their buying cycle) and increase the potential that they become a customer. Everyone has relationships, and more than you think. Knowing how to leverage these relationships to build your business “mentions” online takes very strategic thinking. Dan has a golden rule with link/relationship building, taught to us by the Beatles: “And in the end, the love you take is equal to the love you make.” Give and you shall receive. When you’re trying to build a business, you need to be generous. Help others and see what happens. They’ll help you. That’s the key to relationships. Altruism is selfish, and that’s okay. What you want for your business, in the end is links from other (quality websites), referral traffic, social media promotion and online discovery of your brand. Helping others can help you earn those links and social mentions. The music industry is a perfect match for social media, and the big networks (especially Facebook, Twitter and Instagram) need to be serious considerations for your social media strategy. While Facebook can lead to more conversions (sales) than the other social networks, social media marketing is really about branding, awareness and building trust. Your customers are using social media as an outlet/escape from the real world. They don’t want to be sold, they want to get excited, discover new things and be inspired. That’s what Kern Media can help your business with on social media. There’s a reason why you see so many free offers from websites that only ask for an email address in return. Email marketing often converts higher than almost any other form of online marketing. A person gives you an email address because they have interest in your offering, and they want to hear more from you. But, they don’t want to be sold…they want value. By focusing your email marketing on nurturing your subscribers interests, in addition to occasional commercial offers, your subscribers will build more trust in your brand and they will be more likely to buy. Dan can help you put together a plan for your music business’s email marketing needs. Request a free music marketing consultation and get answers to your questions on how to grow organic search traffic and increase revenue.